Sometimes, baseballs get put out to pasture gently, getting tossed to a fan then spending the rest of their life on a shelf or something. However, not all baseballs are so lucky. Some meet much more violent ends, like this one that Corey Dickerson smashed the daylights out of. (Mobile readers, check it out here). 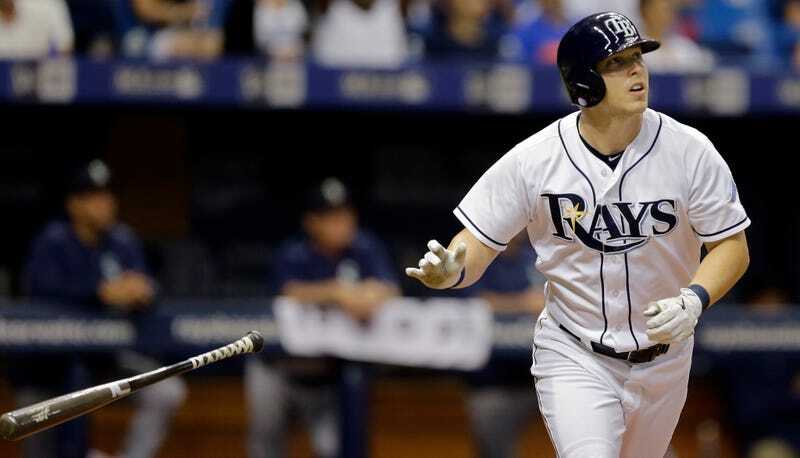 Dickerson managed to lodge the ball in the Rays’ catwalk, where it will remain as a warning to other baseballs. It traveled 448 feet to get there, making it the longest dong the Rays have dinged this year.